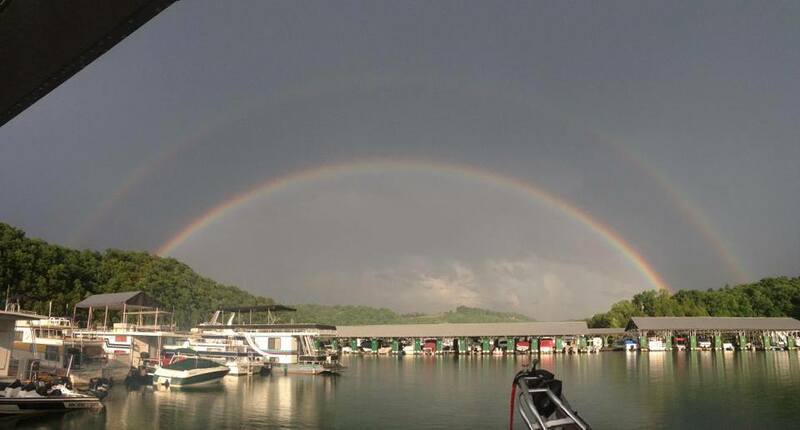 Sunset Marina’s history began in 1946 when Garnett Arnold and Wood Reese built a small dock on the Obey River area of Dale Hollow Lake. 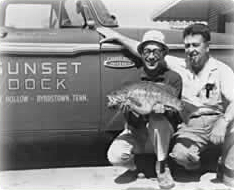 The dock was known as “Arnold’s” and was located near where Sunset Marina’s floating Marina and Restaurant is now. Mr. and Mrs. Lloyd Harrison purchased Arnold’s Dock in 1949. 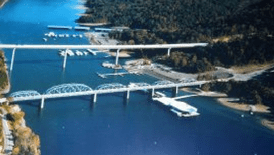 Although Mr. Harrison passed away in 1987, his wife, Mildred, continued to operate Sunset Dock until November 1993, at which time she decided to sell to Mr. Tony Sloan of Albany, Kentucky. Mr. Tom Allen came aboard as General Manager, and Sunset Dock became Sunset Marina and Resort. Under new ownership this area has been developed into the premiere vacation spot on Dale Hollow Lake. The rustic cabins are still one of Sunset’s greatest attractions. Sunset’s marina and floating restaurant were completed in June 1994 and had been in operation for a little more than two years when it was destroyed by fire on Nov. 13, 1996. Construction on the present day Marina and floating Restaurant began immediately and became fully operational by July 1997. The new Obey River Bridge was completed and in use by September of 1996, and the old Obey River Bridge was removed in February 1997. The photo on the left shows how the area looked during the short time that both bridges still existed over Sunset Marina. 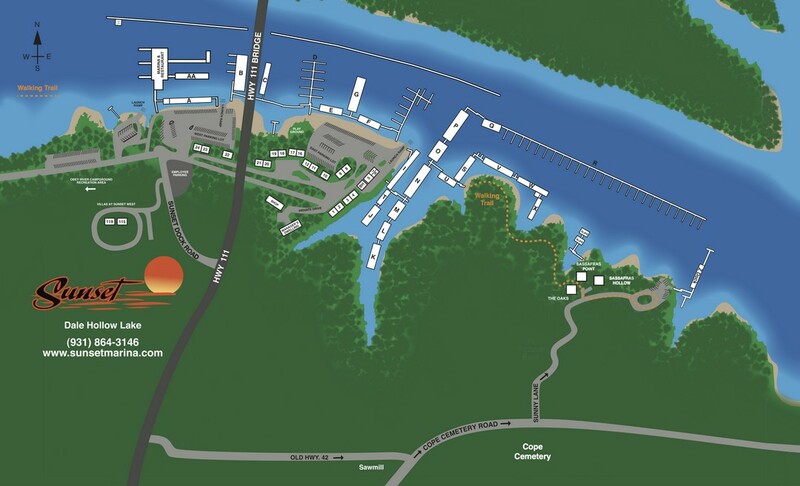 The facilities offered by Sunset Marina and Resort make this area of Dale Hollow Lake an unparalleled location for family vacations, romantic getaways, family reunions and group gatherings.